Herberall Review : Does It Really Work? HERBERALL is a natural brain supplement meant to support focus, mood, mental clarity, memory and energy. According to its makers, they have gathered plants and herbs that are known to work towards better cognitive performances and enhance brain functions. 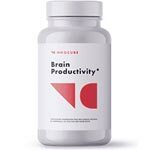 It is formulated to support healthy brain peak performance for a faster and sharper thinking. Herberall is a supplement that according to the claims of its manufacturer, is 100% natural. Herberall boasts a number of benefits including giving you a boost of physical energy, and even enhancing energy & mood to give the consumer a boost of motivation. Who is the Manufacturer of Herberall? It would appear that Herberall is produced by a company called Nutriumph Supplements. They have offices in both Las Vegas and Los Angeles and their laboratory is in Newnan, Georgia. The goal of the parent company, Nutriumph, is to offer a harmless alternative to the study drugs that circulate around the campus and give students the opportunity to have a natural brain food. Nutriumph Supplements is also a company that helped a great amount of professionals and executives get the most out of their day just by providing great mental sharpness and steady energy. Herberall is said to work by helping you maintain a high level of mental awareness and alertness but in a smooth and natural way. According to the makers, this means that you will not experience any jittery, or on-edge effects by taking Herberall. 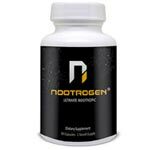 It utilizes 4 natural caffeine sources that help you maintain this level of energy without any withdrawal or crash symptoms. It also contains DMAE, Panax Ginseng, Bacopa Monnieri and Huperzine A to support brain performances and memory. Herberall Ingredients – Are They Safe & Effective? Caffeine – It is the main ingredient in Herberall. Natural sources of caffeine have shown to be reliable and effective in increasing the state of wakefulness and suppressing sedation. Vitamin D – While commonly linked to calcium and healthy bones, Vitamin D may also be able to help with serotonin absorption which can lead to elevated moods. D-Ribose – A natural form of caffeine that may be able to help give you a boost of energy for up to 8 hours. L-Theanine – An ingredient that will allegedly keep you mentally focused and elevate your mood and capacity to deal with stress. What are the Advantages of Herberall? HERBERALL is meant to improve one’s focus and energy. By increasing your concentration, you become more focused on your tasks and are able to cut out distractions. It helps to optimize your day by being more productive and efficient. Natural blend of herbs and plants supports mental clarity and focus so you can truly dedicate your brainpower to your work. The manufacturer added natural caffeine from green tea, yerba mate and L-Theanine to steadily boost your energy levels. The goal is to increase one’s stamina without jitters or crashes. That way, you can feel sharp and motivated. What are the Disadvantages of Herberall? Because there is no “one size fits all” product, we have heard from some consumers that said that they didn’t feel the full effect of HERBERALL. Some consumers even haven’t felt anything. It can be due to a high tolerance to caffeine or a combination of vitamins and supplements that cancels out the effects of HERBERALL. The manufacturer recommend doing a quick detox/cleanse if you already take many supplements daily. Some customers that said that HERBERALL had suppressed their appetite when they took it. It is most likely due to the Green Tea Leaf extract in the product. How Should you Take Herberall? The site suggests that a single dosage of Herberall is 2 capsules per day. There are 60 capsules in each bottle and it clearly states that 60 capsules are a 30 day supply. How Much Does Herberall Cost? You can buy Herberall directly from the manufacturer’s website and they have one bottle of Herberall listed at $39.99. You can save a bit of money on 2 bottles which costs $69.99. The product will be shipped within business day. You can chose between Free standard shipping (takes 3 to 5 business days) or express shipping which cost $8.75 (takes 2 business days). What is Herberall’s Return Policy? It appears that Nutriumph Supplements does accept returns and doles out refunds. Their website specifically states that if you need a refund or require a return, you should contact them via email. Does Herberall Offer A Free Trial? The official website for Herberall makes no mention of a free trial so we can assume that one does not exist there or through any other retailer that carries the product. It is important to note that while there are some clear benefits to taking Herberall, you should be aware of some potential drawbacks. Herberall can help you to have better focus, a better capacity to deal with stress, and is an all-natural supplement. However, the drawbacks are that Herberall may not be as effective as taking prescription-grade medications for focus and energy, there is some amount of caffeine in it which may interact adversely with any caffeine already part of your diet, and it may not be effective for treating ADD/ADHD. Talk to your doctor and look at other energy and cognitive boosters as well. I was so skeptical about ordering this at first. I looked for days for reviews on this product, and could only find a few. All of them were excellent reviews, but anything that has so few reviews makes me skeptical. But I went ahead and took the chance and ordered it and knew I could return it if I didn’t like it. The timing could not have been better for me to receive these. Long story short I had to wake up super early the next morning after I got them in the mail and I ended up only getting two hours of sleep. I could not, for the life of me fall back asleep. It wasn’t until about 30 minutes before I had to wake up that I started feeling tired again, but I could not chance falling asleep and not waking up. So I got out of bed and took two of the Herberall pills. I went and picked up a 2-year-old to keep for the day, I did a few errands, I went to get her breakfast, came home and did all the things while watching her! What!? I could not believe this stuff worked so well. The only difference between Herberall and the other popular ADD/ADHD medication is that Herberall does not give me a rapid heartbeat, and there is no crash after taking Herberall. It lasts the same amount of time and gives the same amount of focus and energy. I will forever buy this product! I’ve been a long time user of brain supplements like focus factor in the past which isn’t bad but its more of a long term effect. I was looking for something that had more immediate results and Herberall does the job for me. If you want that focus coupled with a steady flow of energy I recommend you give it a try.